In January, Angelica Panganiban posted on her Instagram Stories that she received a bouquet of flowers and coyly wrote on the image, "Huy, salamat." The Internet quickly put their guesses on her ex-boyfriend Carlo Aquino being the mystery sender. 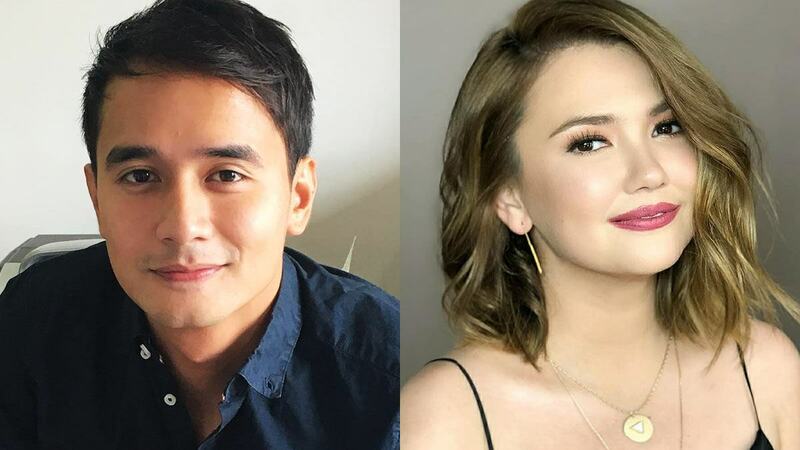 But in a recent interview on Push Now Na, Angelica's That Thing Called Tadhana co-star JM De Guzman revealed that it was him who sent her the flowers. The revelation came unexpectedly after host Darla Sauler asked the 29 year-old actor about Angelica and the closeness they formed during the filming of their 2014 hit rom-com. When asked why he sent her the flowers, JM responded, "To show my appreciation sa pagiging magkaibigan namin. 'Yung klase ni Angge, dapat binibigyan mo naman talaga ng flowers kahit hindi Valentine's." But things escalated quickly when he was asked, "Si Angge ba ay nakikita mo as someone na magiging girlfriend mo?" He then replied, "Asa pa ako!" He then continued, "Basta, okay 'yung mga nangyayari. Kami-kami 'yung nagsusuportahan." In the past couple of months, Angelica was among JM's showbiz friends who made him feel welcomed upon the announcement of his TV comeback. The two have been seen going out with the same group of friends. The two were also last seen together in the recent concert of Moira Dela Torre. Word of an upcoming sequel to That Thing Called Tadhana also came about as JM posted a teaser on his IG account, egging the film's director Antoinette Jadaone to finish writing the script. According to JM, Direk Tonette is "halfway through" with the script but is taking time in developing the material. "Ayaw din naman nyang madaliin dahil hinihingi ng audience. Gusto niya maramdaman niya, gusto niya nasa tamang oras," he said. While we have to wait for the Anthony-Mace reunion in the big screen, JM is now in production for his upcoming afternoon soap, Araw Gabi, on ABS-CBN.